Welcome to Bluesilver Video Productions! We are the Inland Empire's premiere video production company. Our goal is to provide the best quality of service available! We are an experienced, creative professional production company offering a variety of services. From creating a web video, producing your broadcast commercial or program, or capturing your event for DVD distribution, we can do it all! 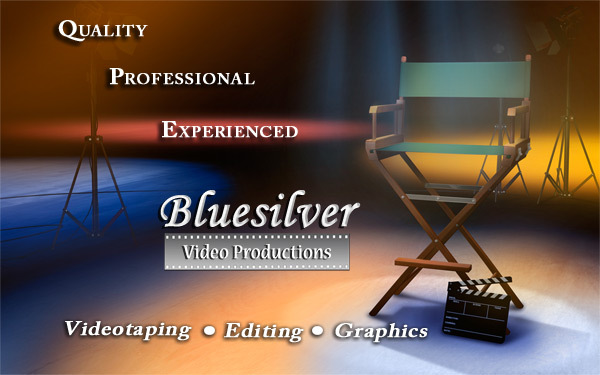 Bluesilver Video Productions provides quality, professional work for a great price! Check out some examples of our work. Visit our Video Gallery. We look forward to hearing from you and working together on your project.